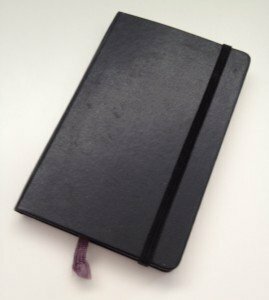 Over the past two weeks I’ve been writing about slating field recordings. Clearly, there’s a lot to remember when slating. But there’s plenty already happening during a field recording shoot. 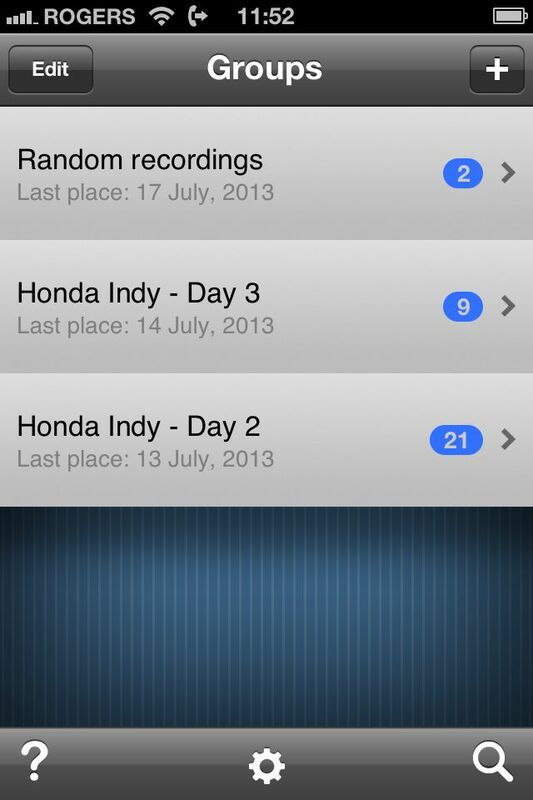 I recorded the Honda Indy in July. It was a challenging session. 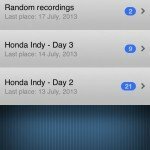 I realized that I needed some help creating good slates while juggling the demands of capturing clean, powerful race car recordings. So, I looked for a little help from slating tools. 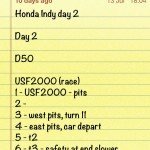 This week I’ll share the tools I used, and how I slated at the Indy. I’ve mentioned before that I like stealth and guerilla field recording. Why? There’s less control. It’s trickier to capture a good take when you’re forced to be inconspicuous, or when you’re sprinting after cool sounds as they happen. Because of this, tracks may fail. However, when they succeed, they are incredibly evocative. One drawback to these recordings is the lack of flexibility. Stealth recording requires the recordist to vanish into the environment. Guerilla-style field recording forces the recordist to scamper after valuable clips in unpredictable environments (much like their filmmaker cousins). This makes slating difficult, or impossible. Why? I couldn’t slate verbally at the race. I’d be discovered. I was on the go, so any time I devoted to slate would intrude on the valuable seconds of rare audio leaking away. Able to capture a lot of detail. Much of what makes the sound effects I hunt distinctive is their location. They are recordings of a particular place, time, or event. It’s one reason why I like soundmaps. 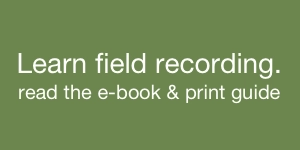 Field recordings are almost always experienced divorced from their original location. In a way, this is cool, since it invites imagination. But, I also like the idea of rooting sounds to a particular place on the planet. Why? It’s an opportunity convey greater immersion. So, as a bonus feature, I wanted a way for my slates to mesh with the sound effect’s original physical location. An app? What about operating the gear? Toying with a smartphone while your 722 recorder chugs away? Appalling! Surely, that’s irresponsible field recording technique? Or, in the very best case, incredibly risky? Don’t mistake me. It’s absolutely critical to be intimately aware of how equipment is working: leaps in level, gear failure, how microphones gathers sound, and so on. This is especially vital when recording specific sound effects. However, there is a slim chance of wiggle room when recording stealth and guerilla atmospheres. If we’re lucky, if the audio is consistent and predictable, there’s a good chance that these takes can roll untouched for a few moments. That can free a field recordist to briefly turn their attention to other things, such as slating. But I want to be clear: if using a digital slate would risk your recordings, you must skip it. However, if you can free up a second or two to add a slate, do it. 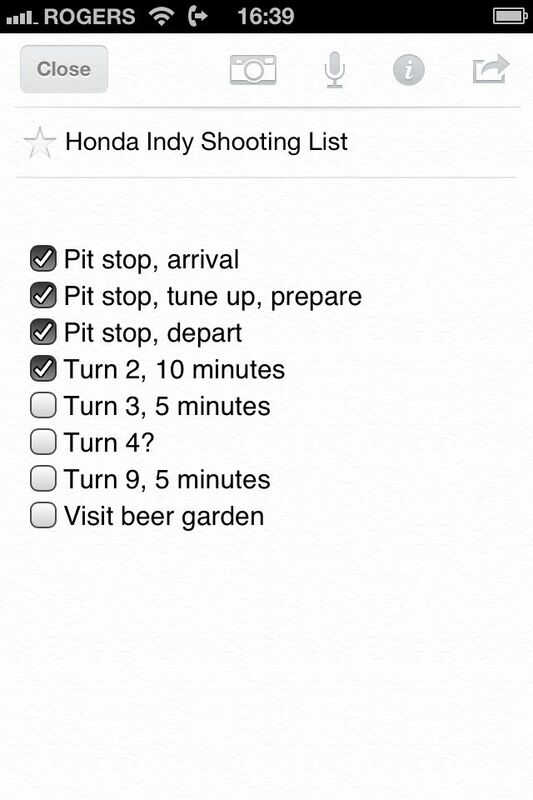 In my case, the Honda Indy takes were indeed consistent, and rolled for three to seven minutes. That provided a few opportunities to explore unconventional slating ideas. So, my first thought was to slate with a smartphone. It was certainly inconspicuous. Everyone has one by now. With a ringer off, it would be silent. Being a portable computer, it could capture endless information. 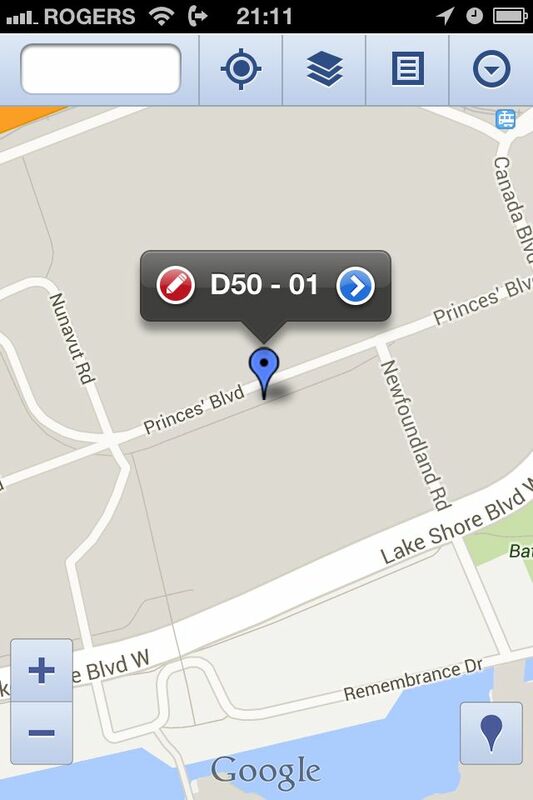 And, with GPS, it could find the exact location of my field recordings. Auto-increment lists to match take numbers from a recorder. Enter a title and description for each sound, and organize them by field recording session. Record date and time down to the second. Timecode. Assign photos to a slate. Share take lists or slates with others working with me. 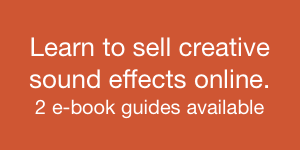 Export the takes as a shot list to help mastering later. Soundmap. 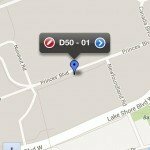 Export GPS locations, or sync them to a web map. I was particularly interested in sharing a soundmap. One day I’d like to record, slate with GPS via an app, and invite others follow my path in real time on a Google map. 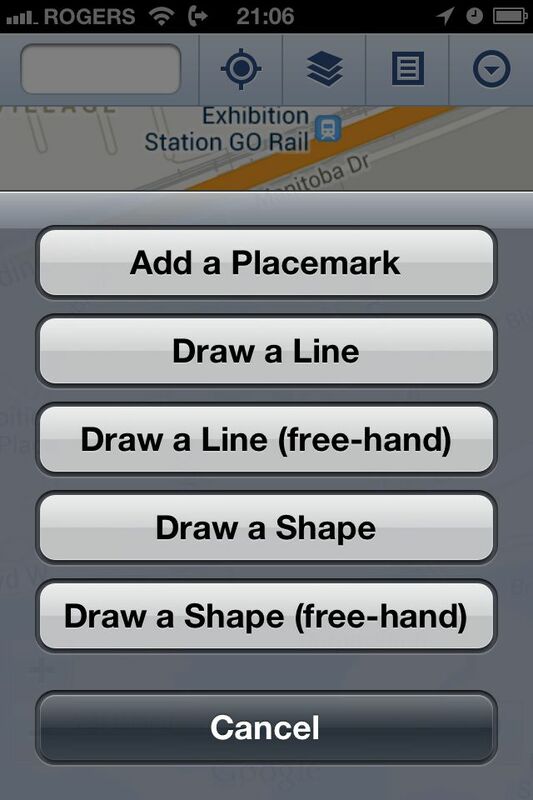 So, are there any apps that do this? My first thought was to search for clapperboard apps. There are many of these. They are able to auto-increment, and organize takes by project. They had timecode. However, they couldn’t save extensive details about each take. That ruled them out. So, instead, I sought out unconventional apps that could get the job done. Here are five options I explored. Okay, it’s not an app. This is the low-tech slating version. If there’s nothing else, scribbling observations on a pad and paper works just fine. You can use any pad, of course, but I like Moleskine for its durability, and design. The elastic band and back pocket keeps things organized. This does add two additional items to your kit, and, if they’re separated, either one is useless. Be mindful of flapping pages and writing during quiet takes. The iOS Notepad app doesn’t have too many frills, but it’s bulletproof. It does allow you to sync with your Mac, and email notes. It requires a lot of repetitive typing, but it’s better than nothing. And it’s free. 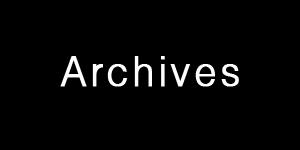 I have hundreds of clippings, images, and text in my Evernote account. 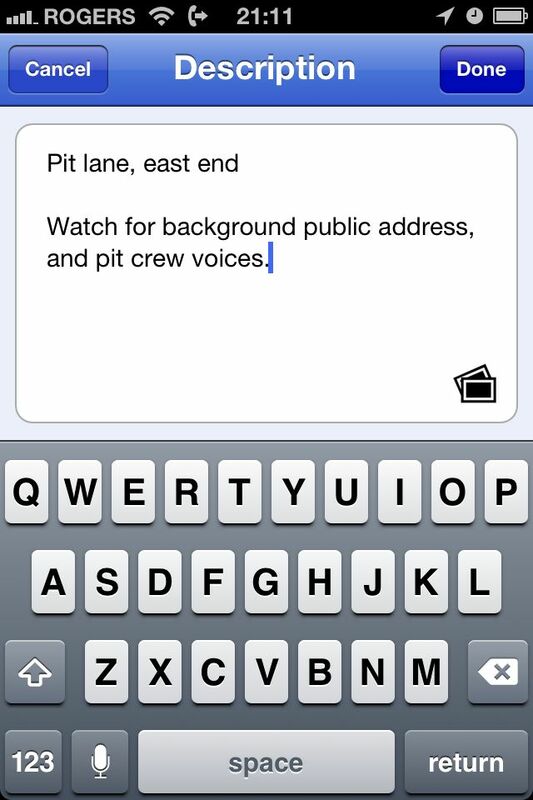 Evernote is a free, cross-platform app that allows you to sync notes between devices. 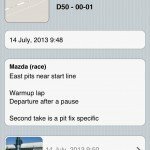 It’s like Notepad, but with some additional cool features: it can capture photos, GPS, voice slates, and time and date. It backs up your work to the cloud. 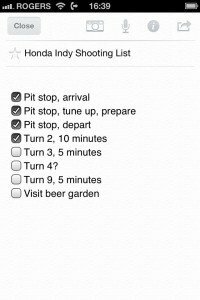 It also allows you to add checkboxes if you want to create a shooting list beforehand. The drawback? Synchronization requires an Internet connection. Sure, you can set any note as a “shortcut” (formerly known as a “favourite”) that stores data locally. However, I found myself in a cellular dead spot during the race and couldn’t access my old slates. This app came close to having it all. I loved using this free iOS app. It allows you to log into your own Google account “My Places” maps. 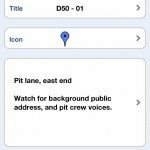 Use GPS or your finger to find locations. Drop push pins, add text, and photos there. You can view them afterwards in Google Maps on a desktop computer. Clicking the pins shows you the text and photos. The cool thing about using an app integrated with Google Maps is that you can share your maps with others, and embed them in Web pages. Here’s a map of the first day of shooting. Zoom in, scroll around, and explore it. All pins have notes and times, some have photos. I listed the recorder and take number in the title, and slate notes in the description. 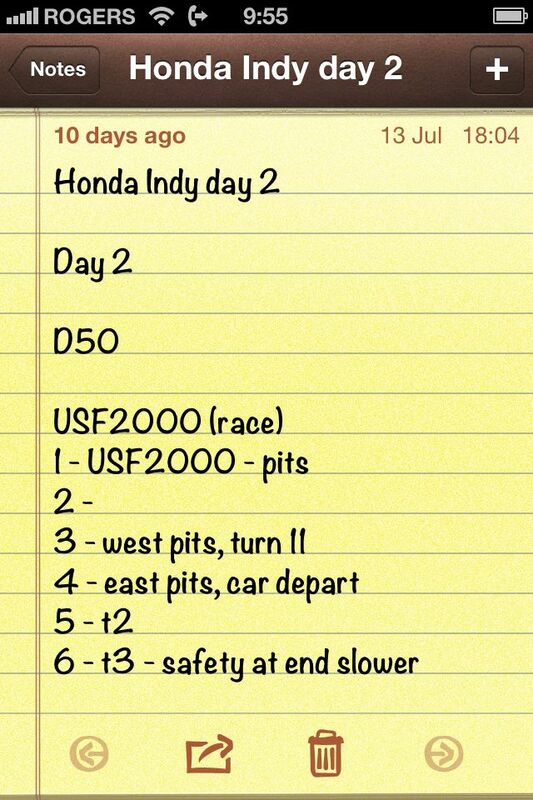 I added each of these during the first day of the Indy race, while I was recording. Note that I added the shapes and boxes afterwards, but you can do this in the app itself, too. The app’s a bit buggy (it seems to have problems using Google Fusion Tables, or fetching older maps), but with some trial and error, it works fine. Also, I’m not entirely sure it’s supported any longer, since the coder’s website has vanished. But it’s free, so it’s good to experiment with. MyPlaces! 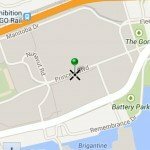 is an excellent iOS app similar to My Maps Editor. It’s $3.99, with a free lite version. 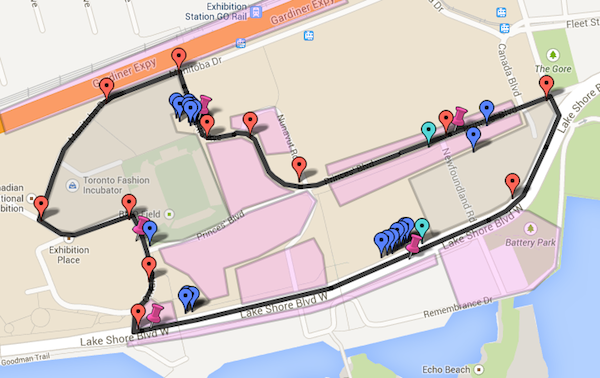 Like My Maps Editor, it saves notes, photos, and time to a GPS location, but is bug-free, and far more attractive. The additional polish includes a better user interface, and displays GPS accuracy. Text file. A simple time-stamped text list of slates and notes that you can reference when mastering later. Web site. 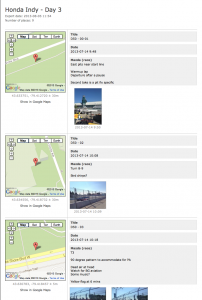 MyPlaces gathers all your slates, exports the text and photos, and creates an HTML website you can upload and share. And it looks great. A screenshot is below. Browse the mini-website the app created at this link. 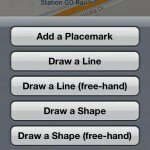 The only drawback is that MyPlaces! 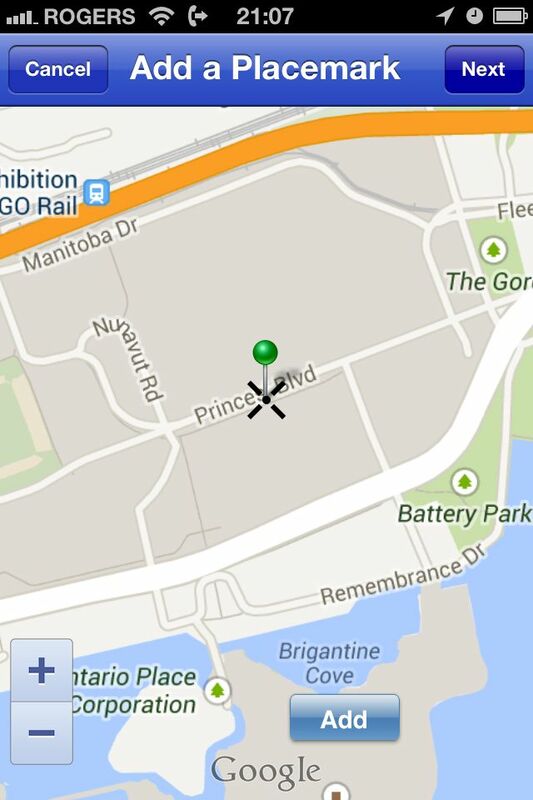 doesn’t directly link with your Google account’s My Places, but the KML export function is a decent workaround. This is now my default slating app. Since I’ve written this article, reader Glenn brought an additional app to my attention. 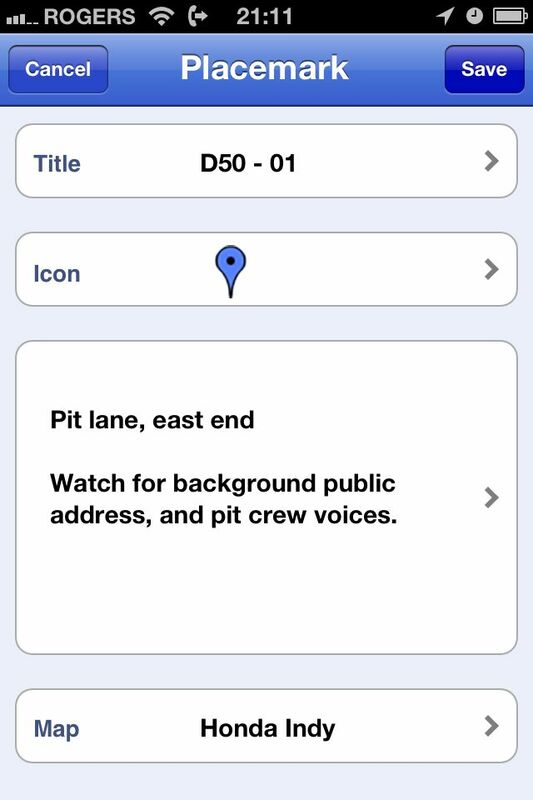 Map-A-Pic is an app designed for location scouts. It’s $4.99. 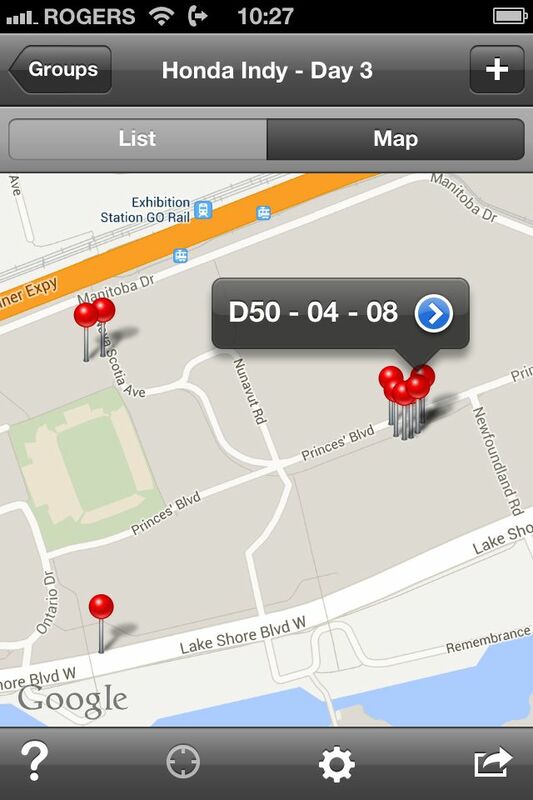 It includes the regular GPS locations, the ability to add photos, tags, notes, and weather as well. It’s available for iOS 7, and there’s a free version as well. Would it be better to take twenty or thirty seconds to slate verbally into a microphone? Yes, of course. That’s always preferred. However, apps help slate during inflexible stealth or guerilla field recording sessions. 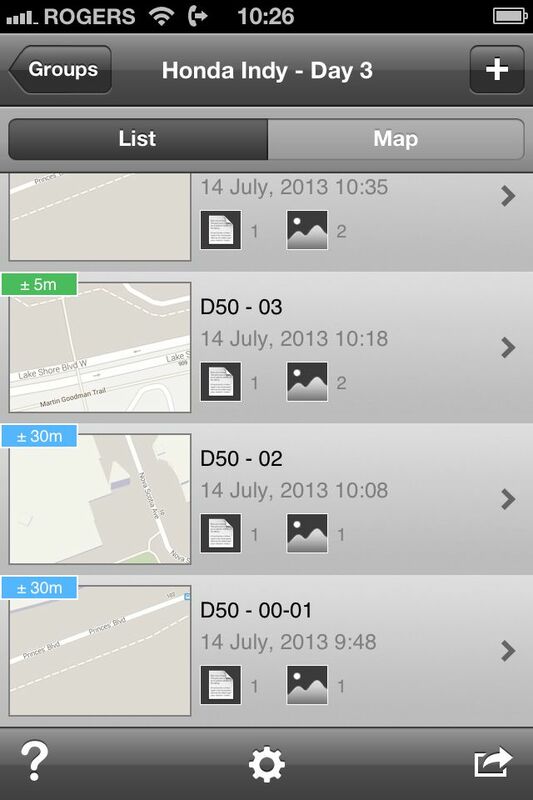 These apps capture dozens of slating details with a few taps: location, time, and broad info (via a photo). 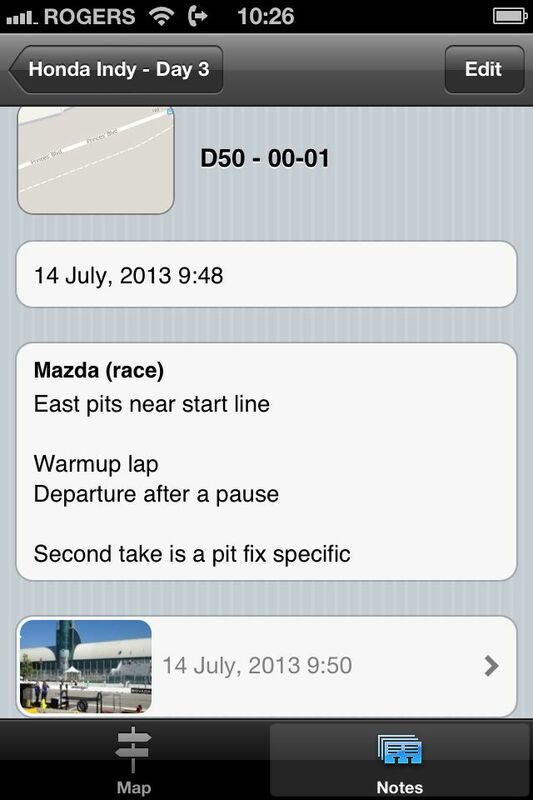 You can tap out notes and observations as time permits. It’s incredibly helpful when you feel constrained, and cannot slate how you’d prefer. And it’s important to note one more thing. Slating with apps is only useful during consistent takes where levels and equipment aren’t expected to alter much. That frees up your time to absorb details about the sound effect and its environment, and add them to a digital slate. Remember, though, attention to your equipment is paramount. Slating with an app is pointless if you ignore peaking levels, or brimming hard drives. Recording properly is always your first concern. 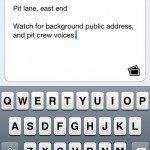 However, if you do find you have a few seconds to spare, slating apps can help add valuable details to your takes. Of course, there are dozens of other ways to slate. These are just five examples. Pick whichever works best for you. Whichever method you choose, remember that slating well is vital. Why? 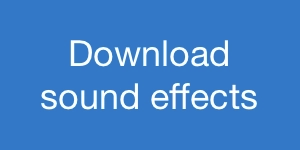 It improves your recordings. It helps when mastering. It aids listeners later. It documents meaning, and adds depth. And, when done well, it has the potential to provide even more: like metadata, slating wraps an experience around field recordings, and, when we’re lucky, it delivers that into the ears of your fans, too.